The annual Star Wars weekends at all Legolands around the world have become a nice tradition and regularly pull a record crowd. 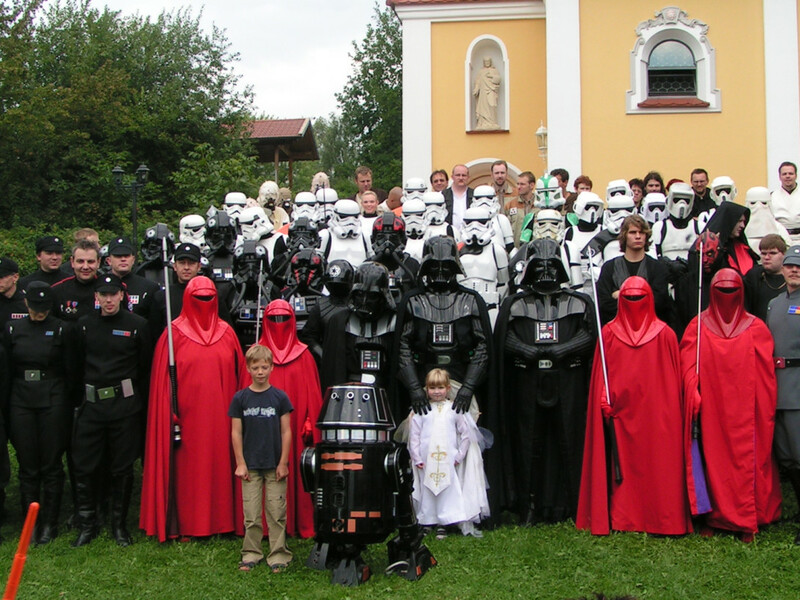 All major fan groups are represented including the 501st, Rebel Legion and the R2 Builders. Legoland Germany is situated in Günzburg in Bavaria. 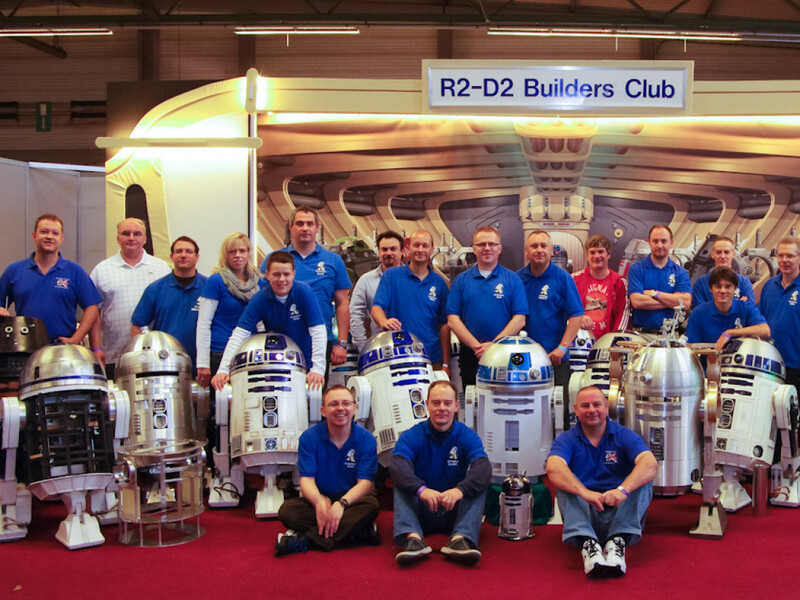 This year, the Star Wars weekend was going to be a special one for the European R2 Builders, as it was going to be the final event before the epic Celebration Europe, which is coming July 26-28 in Essen, Germany. 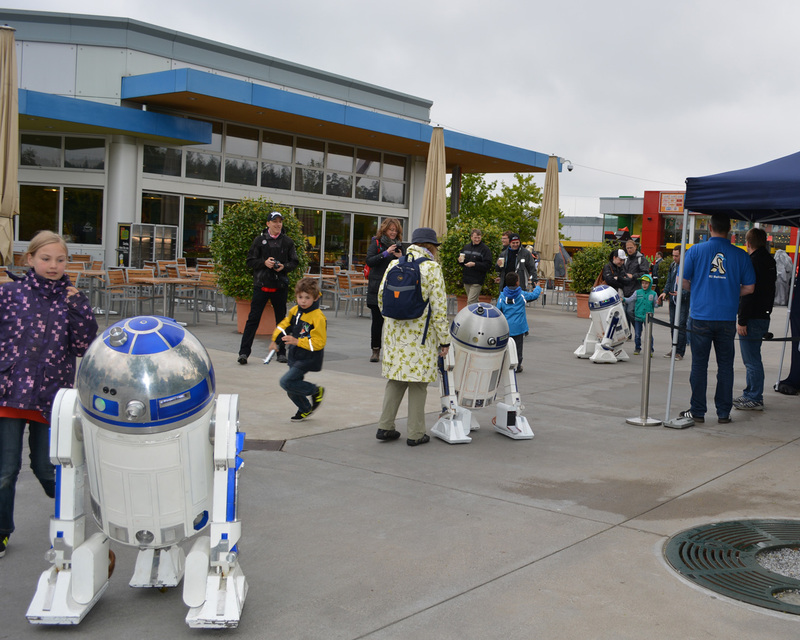 This “Dress Rehearsal” was our last chance to check our droids in a real outdoor environment, whereas the majority of events we attend are indoors. Outdoor driving is hard on our droids as the ground is not as smooth as the floor in your typical convention hotel. There are seams between the concrete tiles, gullies, gratings, the occasional dropped paper, etc. And due to the larger outdoor area, you usually drive faster at Legoland than anywhere else. So that makes for a true “shakedown” event. If your droid works flawlessly at Legoland, it will work everywhere. With a large area to play in you can see how fast your droid really is, and they usually vary between a pedestrian walking pace (4 mph) up to about 12 mph. The downside of a faster R2 on rough surfaces is that the batteries wear down quicker. The batteries we use vary from the small electric scooter types to car batteries. Then, amazingly, Sunday stayed almost completely dry, with just a very light drizzle that stopped pretty fast. 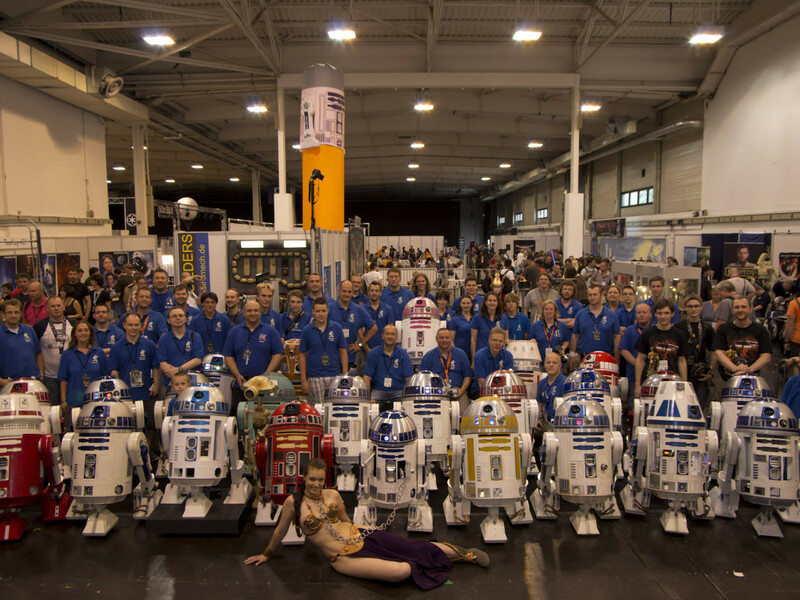 So we were able to do what we had come for: drive our R2s among the visitors, pose for the occasional photo or two, answer a million questions (“Did you build this yourself?”), and generally have fun. 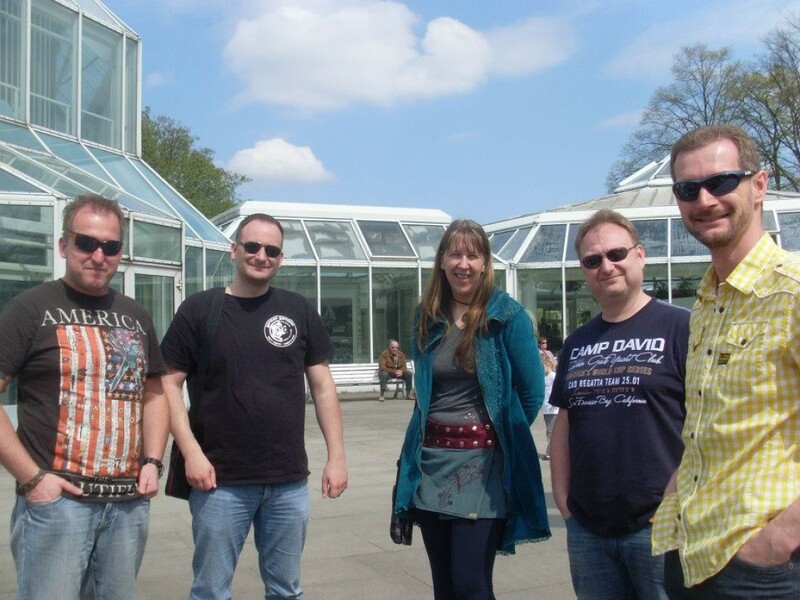 The fantastic staff at Legoland also contributed to us having fun. They always go out of their way to make our stay as perfect as possible. A big thanks to them! 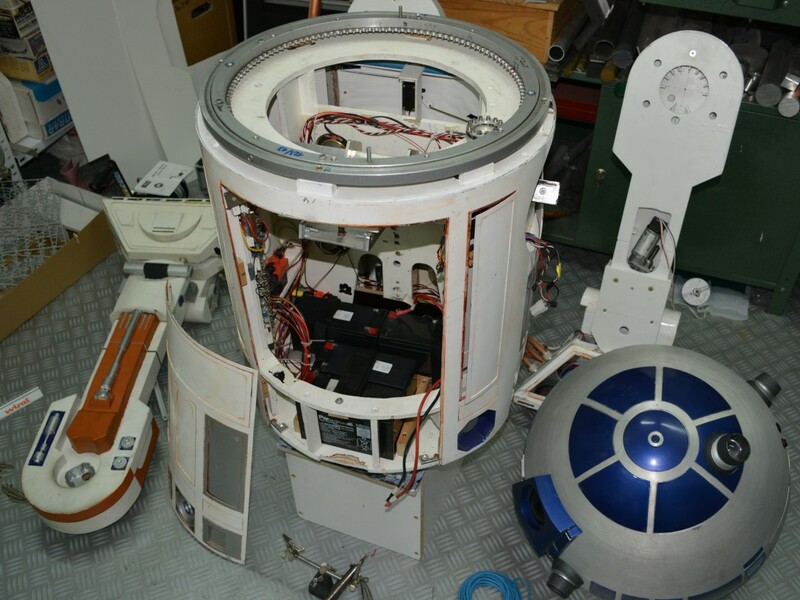 Also, amazingly, none of the droids had any problems: all worked as advertised. 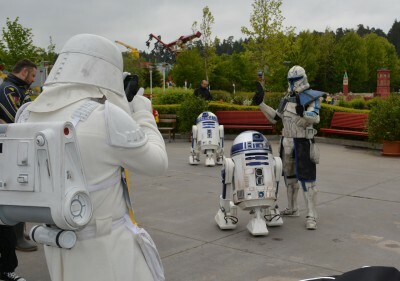 So, coming back to the “Dress Rehearsal” idea, we could leave Legoland with the good feeling that our droids are well prepared for Celebration Europe. And we will surely return to Legoland next year!